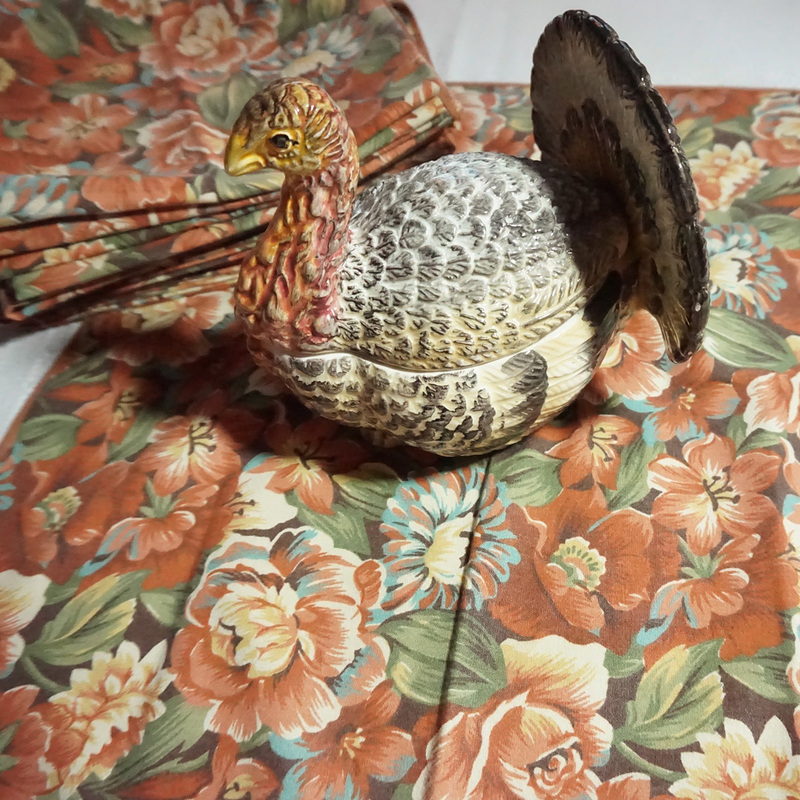 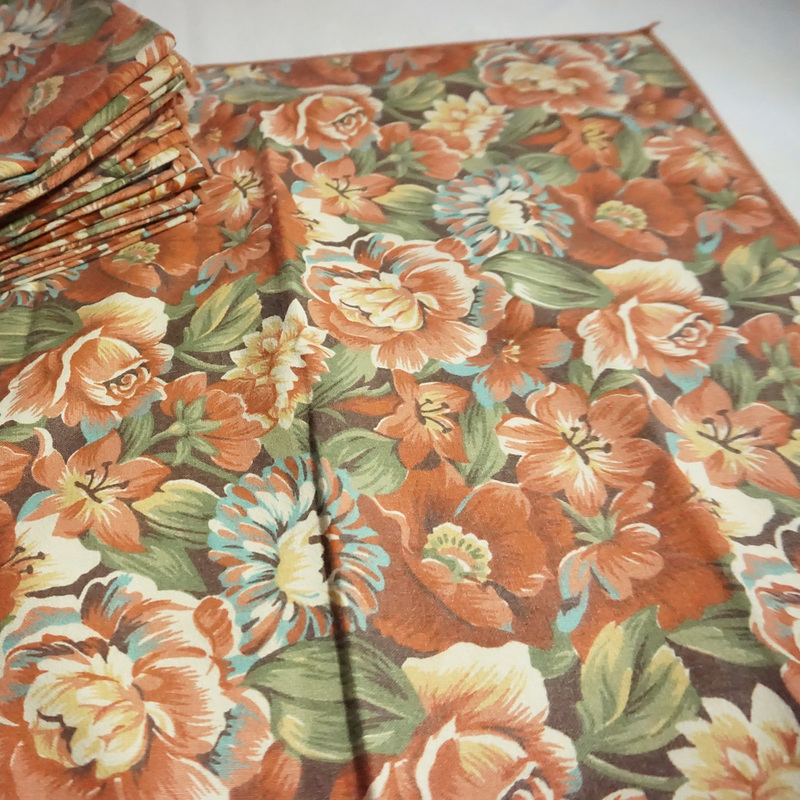 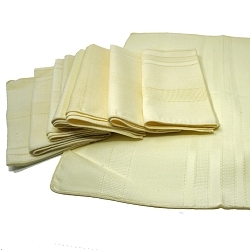 Here's a set of napkins ready to adorn your table for Thanksgiving or other larger parties. 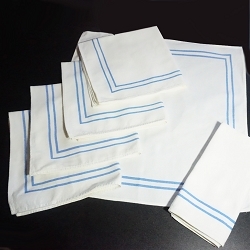 There are 17 napkins measuring 16" x 16". 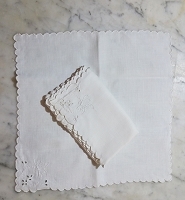 Laid out on my kitchen table to fold after laundering them I realized how pretty they are on a simple rustic wood farmhouse table with plain white plates any time of year.